As the saying goes “all that glitters is not gold,” but while this sweet little ring dish is not gold, the idea behind it most certainly is! Nellie Bellie is the original blogger of this project, and her post has a very straight-forward, step-by-step tutorial on how to create your very own. 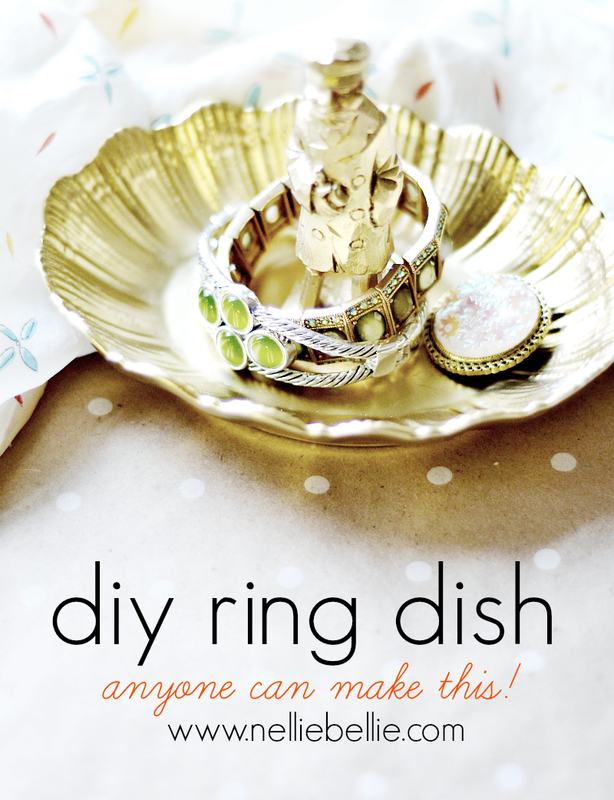 ...into this fun ring dish! We love this project for it’s endless customizing possibilities. 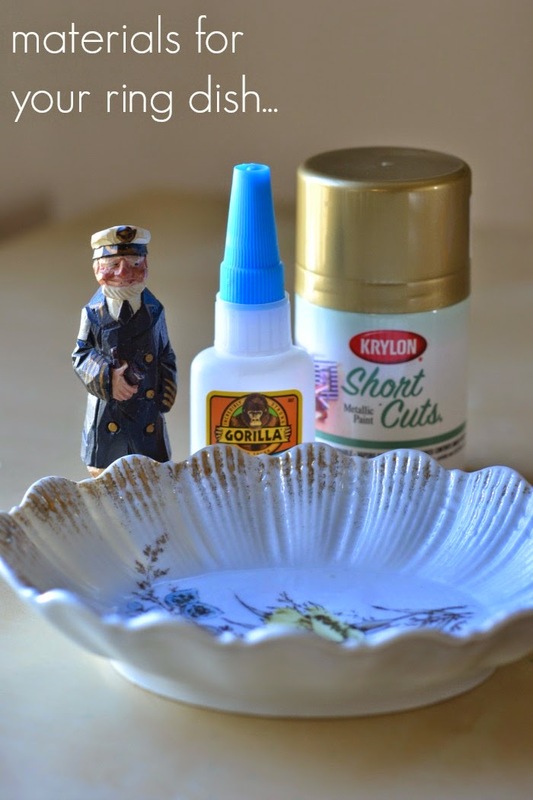 Any small, slim knick-knack can take the place of the fisherman, so be creative and have fun!